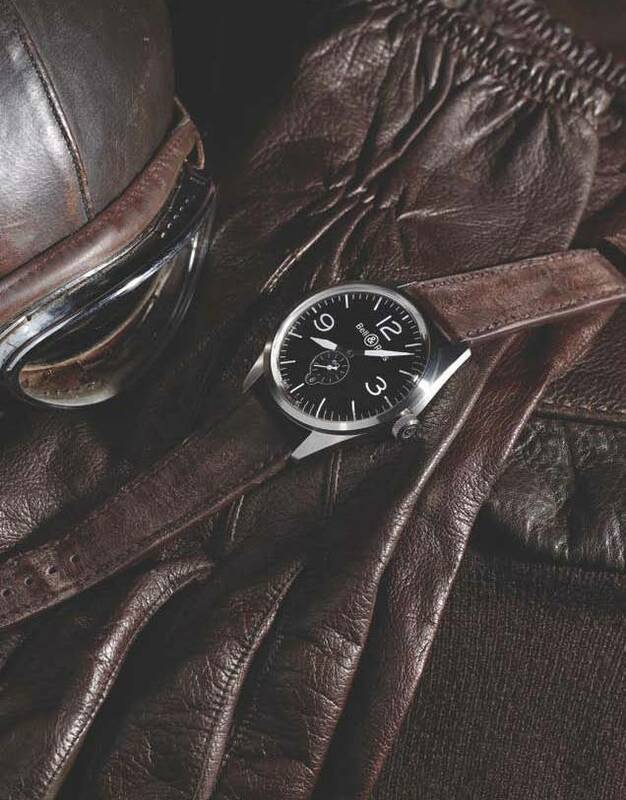 Bell & Ross has designed the VINTAGE COLLECTION as an homage to the aviators of the 1940’s who were the first professionals to use the wristwatch as a tool on their missions. Every line in the VINTAGE COLLECTION is unique but all VINTAGE watches share the same inspiration, shape and movements. The traditional shape of the round case is reminiscent of wristwatches of yesteryear while its ergonomics provide the comfort modern day wearers have come to expect. The domed crystal recalls the crystals of the time period. Unlike the original 1940’s wristwatches, it is produced using extremely strong sapphire thanks to improved manufacturing techniques. The refined dial graphics optimize readability, taking their inspiration from cockpit instruments. A choice of two high quality Swiss movements: an automatic hours, minutes and seconds version (BR 123) and a chronograph version (BR 126). BLACK DIAL: What strikes you immediately is the extreme readability of the model’s white hands and index that are in direct contrast to the black dial, similar to an aviation instrument. The dial adheres to one of Bell & Ross’ core principles- readability. With its matte leather strap, this classic watch is a timeless and discretely elegant basic which can be worn on any occasion. Movement: Mechanical automatic, ETA 2895 (123) and 2894 (126). – Vintage BR 123: Hours, minutes and small seconds. Date. – Vintage BR 126: Hours, minutes and seconds. Date. Two-counter chronograph (60-second and 30-minute). Case: Diameter 41 mm. Satin-finish stainless steel. Dial: Black. Numerals, index and hands covered in photoluminescent coating. Buckle : Folding. Satin-finish steel. BEIGE DIAL: In this model, the vintage spirit is abundant with the beige dial and hands reminiscent of the uniforms of World War II pilots. The black numerals and index contrasting with the beige of the dial make for perfect readability. The brown leather strap works in harmony with the tones of the watch face. A connoisseur’s model of restraint and originality that is soon to become a legend. Dial: Beige. Numerals, index and hands covered in photoluminescent coating. 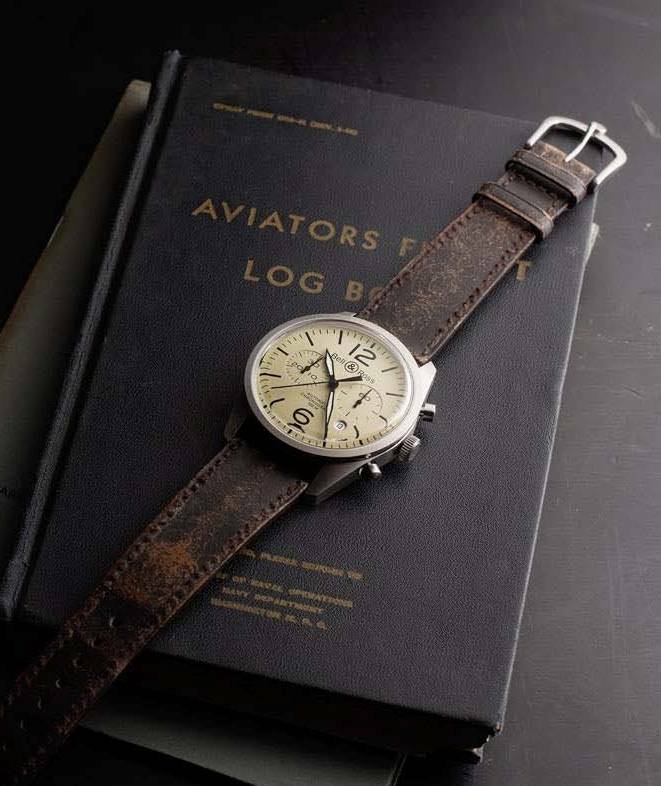 Bell & Ross has created the VINTAGE HERITAGE models by combining in one watch the authenticity of period watches with the principle of readability exemplified by an aircraft instrument panel. • The matte black, anti-reflection finish of the case is identical to aircraft instrument panels. • The beige color of the hands, index and numerals is reminiscent of the distinctive coloring of period watches. • The natural leather strap, similar to antique watches, acquires a characteristic patina with time. A magnificent example of Bell & Ross’ expertise, the new VINTAGE COLLECTION is a testament to the consistency and balance among all the brand’s collections. 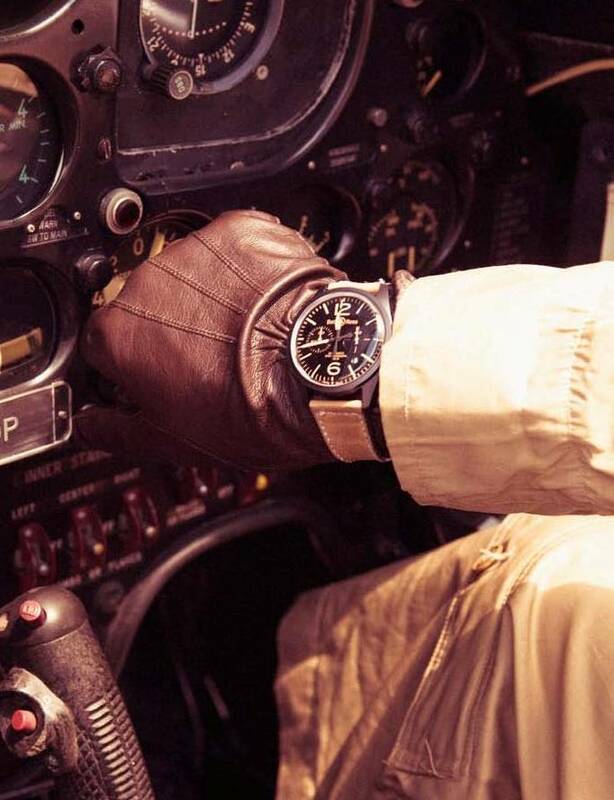 It perfectly illustrates the Bell & Ross philosophy: creating professional watches while focusing on readability, functionality, accuracy and reliability. These new Bell & Ross classics, the VINTAGE ORIGINAL and the VINTAGE HERITAGE, herald a new era in the Bell & Ross Vintage collection.